How to Obtain & apply ApplicationId and AuthenticationToken for Map Control in WP8? 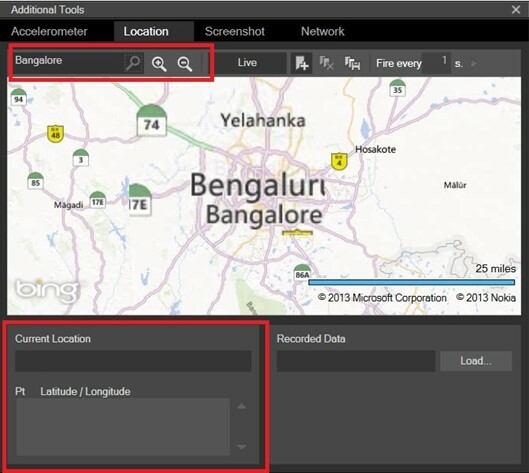 The Windows Phone 8 SDK provides additional tool called “Location Simulator” for testing and simulating the location tracking. 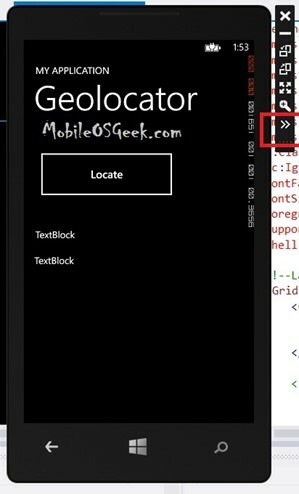 The Location Simulator can be accessed by clicking the Additional tools button in the Windows Phone emulator. This will display the Additional tools screen with the tabs – Accelerometer, Location, Screenshot, and Network. Select “Location” tab. There are 2 modes in which the location simulator works. 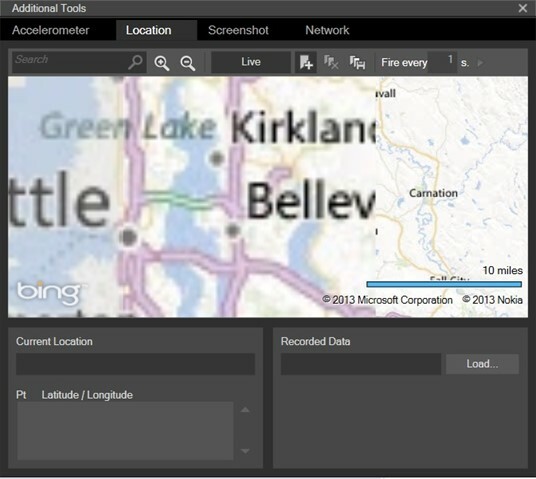 Live Mode – This mode allows the developers to interact with the map on the tool which send the locations pinned on the tool to the Windows Phone Emulator. Offline Mode / Play mode – With this mode, the developer can pin the location in the tool and later play them which steps through sequence of map points. The other interesting features of the tool is the ability for the developers to save the locations that are pinned to the tool to a XML file and later user it. You will also be able to search a location which takes the map positioning to exactly the searched location. Like every maps application, you also have the option to Zoom in and Zoom out. The Locations that are pinned on the map is shown in the “Pt Latitude/Longitude” section. It is a one of the excellent tool especially when you want to build and test location aware applications.